You already know Kate Bolduan as a CNN anchor. Here’s something you probably don’t know about her. Her mom, Nadine Bolduan was in April 2013, handed a year jail term for driving under the influence of alcohol. If I’m to add to that, I’d guess you don’t know she has a unique talent of being able to fall asleep anywhere and at any time; that she’s left-handed but play all sports right-handed, that her parents thought she was a boy and that she has a strong bond with cereal. Kate Bolduan is based in the network’s New York City bureau where she co-hosts the CNN’s morning show – At This Hour. Records have it that she joined CNN in 2007 as a national correspondent for CNN Newsource. Her duty was to offer breaking news coverage and feature reports. In this capacity, CNN has credited her for providing the news coverage and reports for over 800 CNN Newsource affiliates. With CNN Newsource, Bolduan got to cover the 2008 presidential election. She also covered major stories across the United States; like the Minneapolis bridge collapse and O.J. Simpson armed robbery case. She would later leave her CNN Newsource role to become a general assignment correspondent. Here, Bolduan covered a wide-range of stories including the rollout of the government’s stimulus plan in 2009 and the Christmas Day bombing attempt of the same year. She also worked as CNN’s congressional correspondents where she covered the activities of the U.S. House and Senate. She has previously co-anchored The Situation Room with Wolf Blitzer, and New Day with Chris Cuomo. Before she joined CNN, she was a general assignment reporter for WTVD-TV in the capital city of North Carolina, Raleigh. But that isn’t the beginning of her television career. She started as a production assistant for NBC News and MSNBC in Washington D.C. She obtained her bachelor’s degree in journalism from George Washington University. Kate learnt how to speak Spanish when she studied in Madrid, Spain. She is a native of Goshen in Indiana and was born as Katherine Jean Bolduan, the third child of parent’s (Dr Jeffrey and Nadine Bolduan) four daughters. Kate will celebrate her 35th birth anniversary on the 28th day of July 2018. Her year of birth was 1983. Though we can’t substantiate this, it has commonly been assumed that Kate Bolduan net worth is $3 million. 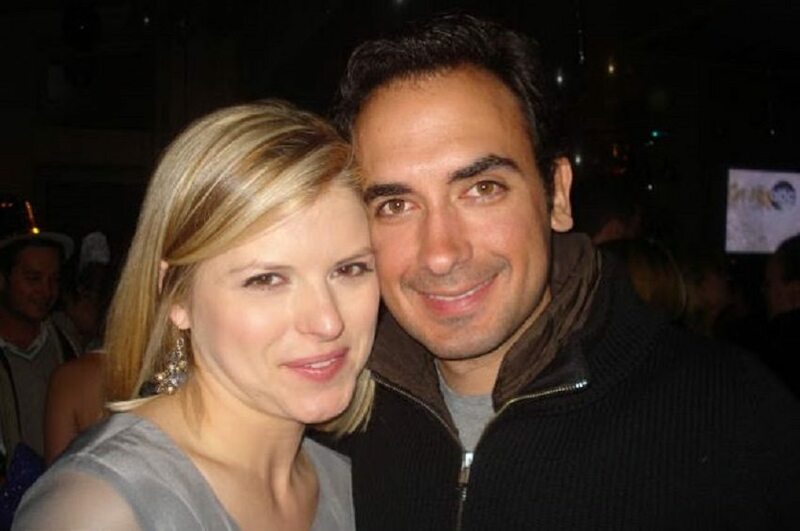 Everyone knows Kate Bolduan is married to Michael Gershenson. Bolduan and Gershenson became life partners in May 2010. While details of her wedding aren’t known, the marriage has often been linked to Kate’s conversion to Judaism. Few years after the marriage, Kate and her husband moved from Washington D.C. to New York. From what we gathered, her husband attended McDonough School of Business at Georgetown University. He got a B.S.B.A from the institution. Currently, he is a Managing Director at The Carlyle Group, a global alternative asset management outlet. We learnt that his job dwells on identifying opportunities in U.S real estate. While he manages every aspect of the Group’s real estate investments in New York and Boston, he’s also responsible for the organisation’s interest in retail and industrial properties. Before Kate’s husband joined Carlyle, he was working with Brown’s merger acquisitions and corporate advisory group in New York where he oversees real estate transactions. A rare sighting….a Kate pregnancy photo. We’re almost there! Thank you @ofmercer for always knowing how to dress a girl for work! Kate Bolduan is seven inches taller than five feet and her body measurements are 37-26-37 inches respectively for her breasts, waist and hips. Nobody would disagree she’s attractive.